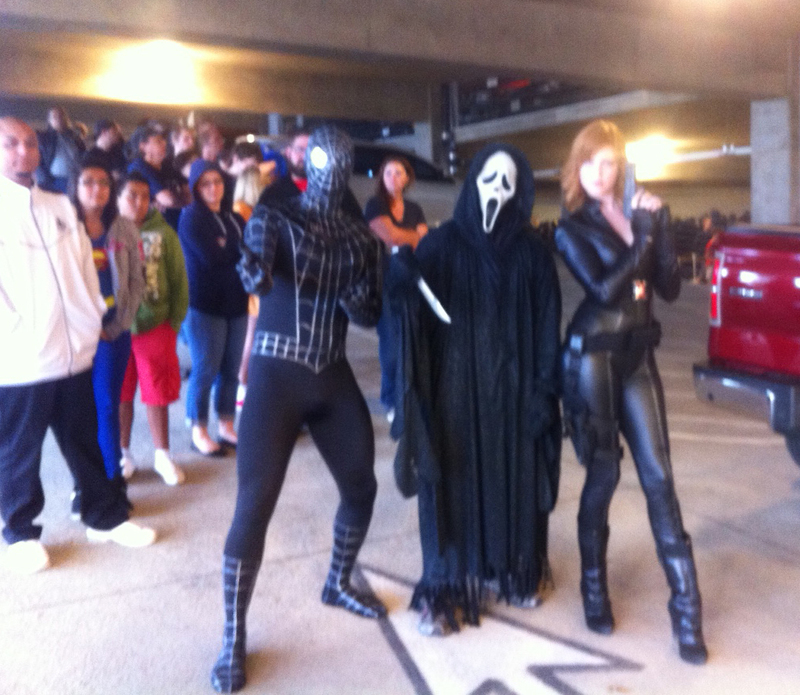 October 5 of this year I attended the Dallas Comic Con Fan Days. I wasn’t going as a guest or anything special, just as a fan. The main reason for my trip was to meet Neal Adams, who was my favorite comic illustrator since I was in jr. high. Cosplay (Costume Play) in the convention center garage while waiting to go in. Yours truly on the dealers room floor. 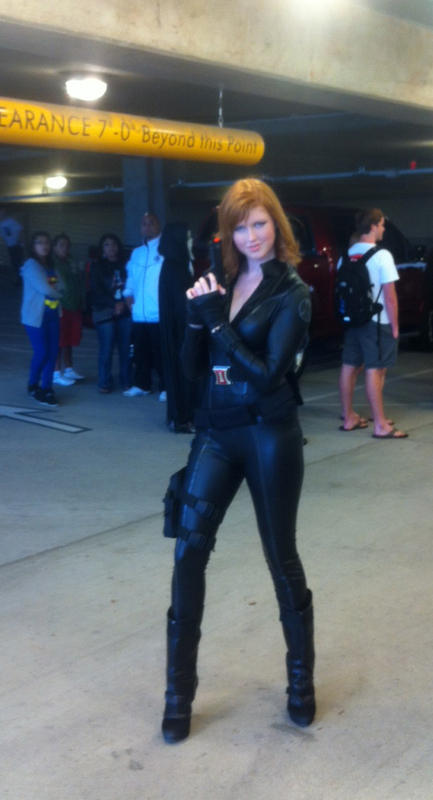 The Black Widow was there! 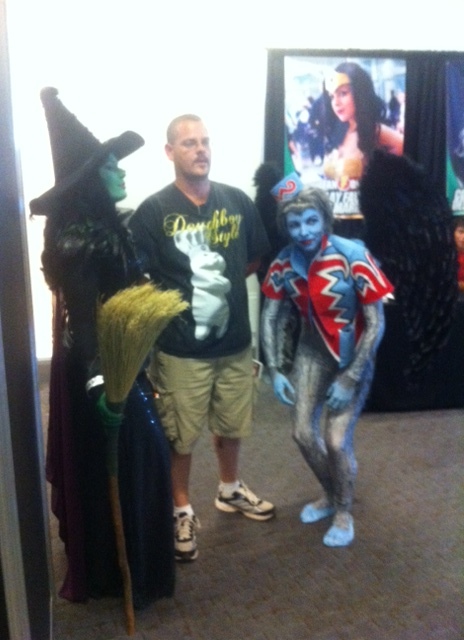 Best thing in the Wizard of Oz: Flying Monkeys! 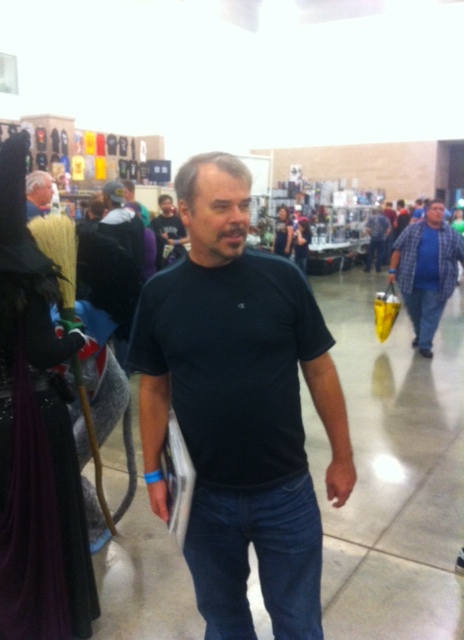 Comic Cons ,in my region of Oklahoma, Kansas, and Texas, have been on the decline the last several years. 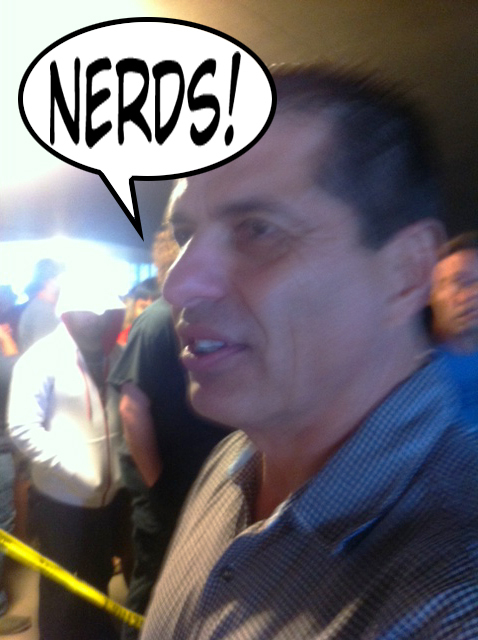 I was surprised to see the crowds swarming Fan Days. Just to get in the gate took a couple of hours, waiting around, as people who had prepurchased tickets streamed in the gate first. I do think that the shift of major comic book conventions to emphasize television and movie stars may account for the massive crowds. On the comics guest list, in addition to Neal Adams, were Simon Bisley, Michael Golden, and Kelley Jones. The media list included Ron Perlman (Hellboy), Jon Heder ( Napoleon Dynamite) and some cast members from Breaking Bad.